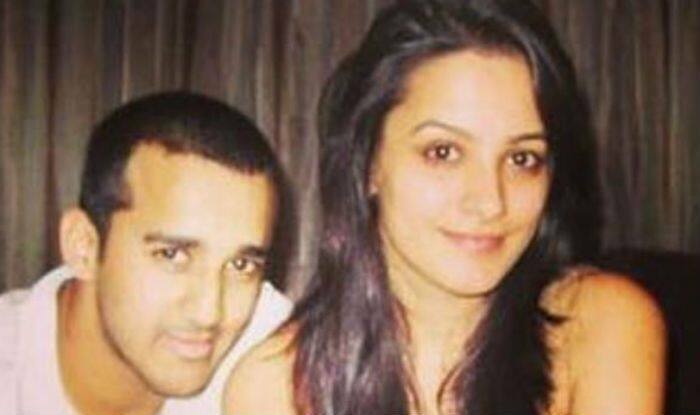 Television actress Anita Hassanandani and hubby Rohit Reddy are known for sharing their adorable PDA on social media. Anita and Rohit both are travel junkies and keep sharing their outings with the fans. From snow-clad mountains to beaches, they love exploring the countries together. Earlier today, Rohit took to Instagram to share a throwback picture from their very first date and it will make you go aww. In the picture, Anita is seen donning a denim tube dress with no makeup while Rohit is seen wearing a white tee paired with denim. Both look young and we are sure the picture is from their early teens. Well, their love story was nothing less than a fairytale. Rohit saw her for the first time outside a pub and approached her. After a few meetings, they fell in love and got married. Throwback to one of our first dates! Earlier, Rohit has shared yet another throwback picture from one of their best photoshoots. In the picture, Anita is seen dressed in a beautiful off-shoulder gown while Rohit can be seen wearing a white shirt teamed up with black trousers and a cap. Their cute pose game is bang on and we can’t stop gushing over this endearing couple. In February, the also featured in a music video together titled ‘Teri Yaad’. The song has now clocked over nine million views and still counting. The song features romantic chemistry between the couple and it will win your heart with all their adorable love. The track is a romantic number that signifies the hard route that love takes on them. The feel of unchained melody which deals with Joy and sorrows of love will make you listen to the song on repeat. The song has been crooned by Ustad Rahat Fateh Ali Khan and the music has been composed by Sunny Brown. The conceptualisation of the music is done by Raj Kundra. Anita and Rohit tied the knot on October 14, 2013. Rohit is a businessman and looks nothing less than a star himself.